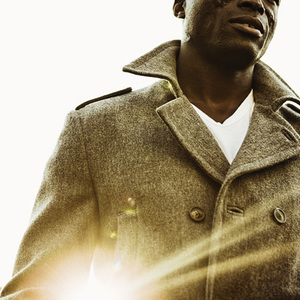 Seal Henry Olusegun Olumide Adeola Samuel (born February 19, 1963 in Paddington, London) is a Grammy award winning English soul singer-songwriter of Nigerian and Brazilian descent, professionally known only by his first name, Seal. A childhood battle with discoid lupus left him with distinctive facial scarring and hair loss. He released his debut studio album Seal in 1991 and has since released 1994's Seal II, 1998's Human Being, 2003's Seal IV, 2007's System and 2010's Commitment. He has also released four live albums and three greatest hits collection albums. He is married to German supermodel Heidi Klum and they have three children together. In June 2005, Seal recorded a special concert which was subsequently released in 2006 entitled One Night To Remember as CD/DVD whereby the DVD includes a special "the making of" documentary in addition to the live performance. Recorded in a historic steel mill, the Altes Kesselhaus ('old boiler house'), in D?sseldorf, Germany, this 16-track package includes a special version of Brahms' Lullaby which Seal sings in German and then in English for the exclusive audience. Unusually, he is accompanied by his band, and a full orchestra comprised of 52 musicians and singers. This CD/DVD is not yet available in the USA.